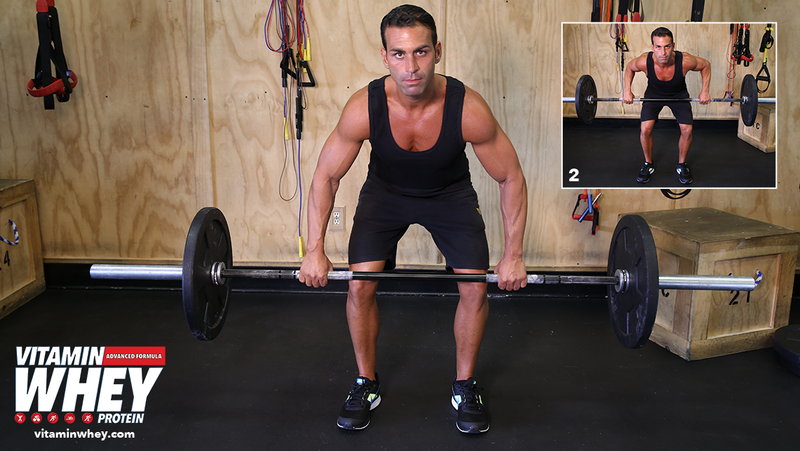 This is the King of chest exercises, with the barbell row, you can really load up on the weight, making it great for upper back development. Take a wide-grip palms down approach while stabilizing your feet at shoulder width and bending your knees about 15 degrees. Your bent-over position should not be parallel with the ground but at about a 60 degree trunk angle. Stick your chest out, flatten your lower back and pull the weight hard into your upper abdomen while sending your elbows backward. Return the weight under control and pause to avoid momentum from taking over.